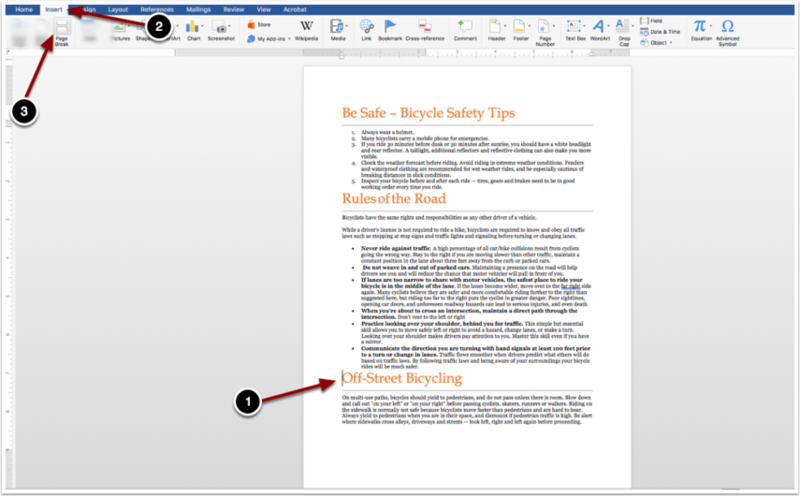 Below are instructions on how to insert a page break in a Word Document. Insert a Page Break to separate content. Place the cursor on the area you want to separate. Click on the "Page Break" icon. Page break indicates where the content of one page ends and where the new page starts.